Alert: This post is NOT about ebooks. “Exploration is the physical expression of the Intellectual Passion. And I tell you, if you have the desire for knowledge and the power to give it physical expression, go out and explore. If you are a brave man you will do nothing; if you are fearful you may do much, for none but cowards have the need to prove their bravery. Substitute “writer” for “explorer” and much is explained. Excerpt courtesy of Patrick Trese, author of the most excellent memoir, Penguins Have Square Eyes, about his adventures in Antarctica. 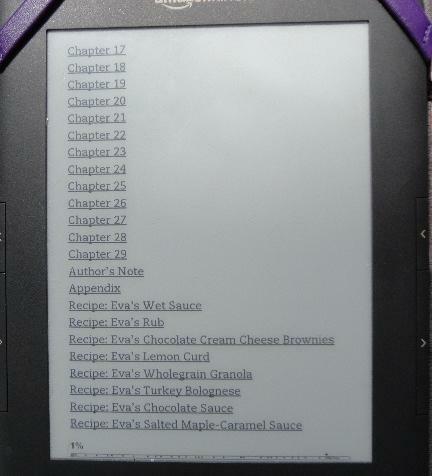 Do you enjoy extras in your ebooks? About the Author, reader letters, a note from the editor, teasers from other books, lists (in order) of the author’s other works, reviews? I do. I read everything. Even ads for other books and special promotions. I even read the little notices in some hardcover volumes that describes the typeface used and gives a bit of history. I admit I am an oddball, but surely I am not alone in this? I didn’t think so. What surprises me is how poorly many self-publishers exploit the back matter in their ebooks. 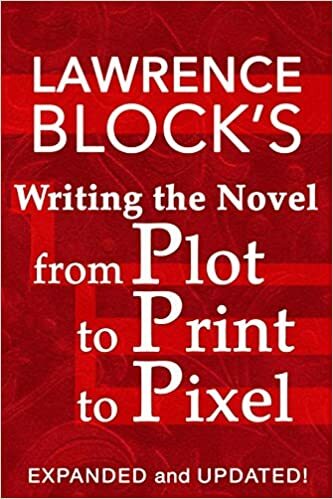 I read ebooks that might have a tiny About the Author blurb and maybe a few titles listed. I’ve read others that have no back matter at all. The text ends, then nothing. Let’s discuss this a moment, shall we? As I’ve stated before, the back matter in an ebook is valuable real estate. And it is, hard cost-wise, free. Print volumes can’t always justify the cost of extra pages and added labor costs. Ebooks can’t justify the cost of NOT including extra material. For indies, it is probably the absolutely best way to talk directly to readers and hand-sell their other works. The best thing of all? You are not limited as to what you include (except by the distributor’s TOS). No space limitations. The more readers read, the more YOU will sink into their consciousness. 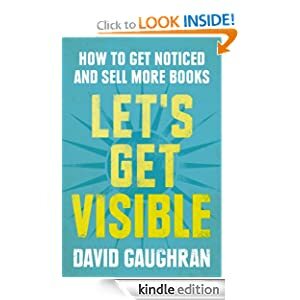 If you make that connection, the next time they see your name on a book cover, the more likely they are to give it at least a second look. So let’s brainstorm a bit. What makes great back matter material? About the Author. Of course. And of course, most writers don’t do them well. They get self-conscious. Worry about looking like an idiot. Don’t know what’s important, what’s not. Many About the Author pages read like a resume or a curriculum vitae. They’re boring and sound pretentious. If you are comfortable talking about yourself in a friendly manner, you are ahead of the game. For the rest of you (me, too) a few suggestions. Keep it short and sweet (a hundred words, more or less). Show a bit of personality. Tell readers something they might never guess from reading your books (at his day job, Novelist is a tree surgeon). If you’ve won a major award(s) readers might actually have heard of, include that, briefly. Clue readers in to your geographic location (it is astonishing how powerful a connection location can be). Dear Reader Letter. Unlike About the Author, the reader letter is more about the book and the writing. Come on, writers, what question do you hear from non-writers all the time? Say it with me now: Where do you get your ideas? The reader letter is your opportunity to answer that question. Talk about where the book was born, the inspiration, the research, maybe even liberties you took with the facts. This is your opportunity to get chummy with readers, to make them feel part of the process. You know you love talking about your work. Here’s your chance. Have fun with it. Reviews. Yes! If you have advance reviews or the book is a reissue or you have reviews for other titles, by all means include them. I suggest you show restraint out of consideration for the readers. Take your cues from the big publishers and include excerpted blurbs of one or two sentences, max. Trust me, no reader cares as much about your glowing reviews as you do. Your goal is to assure readers that others have liked your books. It might inspire them to leave their own review. Make sure you properly attribute the reviewers. Book Covers and Descriptions. 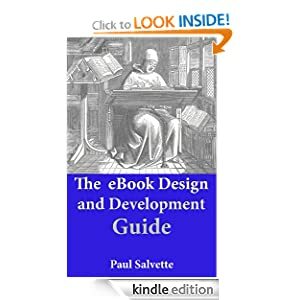 Promo your other titles with a thumbnail of the book cover and a description. Make sure your name is prominent on the page. Teasers. A first chapter or a juicy excerpt from another of your titles makes a sweet bonus. Cross-Promotion. A teaser from another writer’s title. You might also consider an If You Like page. Can’t go wrong helping out your fellow indies. Bonus Fiction. Do you have a short short story or flash fiction? Or how about poetry? Think of it as a little gift, a surprise for the readers. Letter From the Editor: This can serve two purposes. One, that you even have an editor ups the reader’s opinion of your work. Two, it’s an opportunity for a third party to talk about how special your work is. Can’t hurt. Acknowledgements. It’s always nice to say thank you. Maps. Have you created a fantasy world? Is yours an historical novel? Are you a smart aleck on par with Charlie Huston’s Joe Pitt? (the maps in the Joe Pitt Case Books are hysterical) This bit of back matter might cost some dollars, unless you’re a graphic artist and actually know how to draw maps. It is something to consider. Bibliography. If you’ve done extensive research, your readers might be the type who enjoy research, too. Links. Read your ebook distributor’s TOS to know what is allowed. Generally, live links to your website and blog are okay. Invite readers to follow you on Twitter, Facebook and other social media. Create a special email account for fan mail. I don’t recommend special promotions. Even though it’s fairly common in mass market paperbacks, there is a Right Now quality about ebooks without the clues that a book is older. Unless you are willing to re-upload the ebook after the special promotion is done, it could create bad feelings if a reader tries to redeem an expired coupon code or finds out the book you touted as on sale is now back at the regular price. So there are some ideas for you to consider. Does anyone else have suggestions?